So not Mom's chicken and dumplings but not too bad either. To finish off the soups I made for the newspaper, I combined the Moroccan Chicken Passover soup with the Matzo ball soup to make my own version of "chicken and dumplings." Sucky art or altogether non-existent art is the most difficult part of relying on wire or freelance stories to fill the pages of a newspaper. Why? Because in this day of dwindling staff, there are less resources to use to execute better art. So unless you have the time, you're kinda screwed. 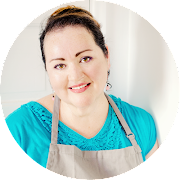 We often use a freelancer based in Los Angeles who interviews chefs from around the world including their recipes in the story and sometimes supplementing them with a few of her own. Because she's in LA, it's impossible with our current staffing to send our photographers to any of her contacts to shoot professionally cooked finished dishes. The photographer she uses to art the pieces she syndicates isn't up to par with ours so I use her work sparingly, often saving it for inside art if at all. Since I cook, shoot and am not afraid of failing in the kitchen, I'm usually volunteering to prop shop, cook, style then photograph a recipe or two myself so that I have art to work with come time to design the food section. Don't get me wrong, I LOVE this part of my job. I just wish I was given more time for it. If I'm lucky, I get one afternoon to do it all. Seriously, if you cook at all, you know how time consuming recipe testing can be let alone prop shopping, grocery shopping and then shooting the finished fruit of your labor. It's a huge investment on my part so it's a good thing I love doing it. And after, when it publishes and I receive compliments by the same staff photographers I used to photo edit, all is well in my world again and I'm ready for the next one to come along and challenge me. This time around, for our Passover lead story, the freelancer wrote about how different the Sephardic and Ashkenazi styles of cooking are. (You can read the story here.) After brainstorming presentation possibilities, my design director suggested we pick a typical Passover soup from each culture and show them side by side to illustrate the differences. The recipes with the story were all Sephardic and included a Moroccan Chicken Passover Soup. So that was the winner from the Sephardic camp and it was decided matzo ball soup would represent the other. Being the HIspanic Catholic mutt that I am, I have not been exposed to much in the way of Jewish cooking, personally. In my early days at the newspaper, I met and became fast friends with a photo intern who was Jewish and I learned a bit from her. She had me over to share meals often but it was not necessarily Jewish so much as it was vegetarian because she abstained from all meat. So, for this story, I was starting at ground zero. I researched online for several hours pouring over various blog posts and online magazines about the do's and don'ts of matzo ball soup and combined the best of everything I read to make a version of my own that would photograph well. I learned that seltzer water was best to help make a lighter, less dense dumpling and for maximum flavor, rendered chicken fat was far superior to plain shortening. I learned that there are two camps out there: camp A says cook the dumplings in the broth to give them more flavor and camp B says cook them in a separate pot of boiling salted water to ensure that the chicken broth it will be served in remains clear (cooking the dumplings in the broth produces a cloudy soup). Since I was going to be photographing the soup, I opted for Camp B because I wanted the most photogenic soup possible. Cloudy soup will make for a muddy photograph. I prefer 'mouth-watering' that inspires people to attempt recipes not turn them off of them. As for the chicken soup, well, if I were to make it again, I'd make the following adjustments: one leek instead of two and only 1/2 cup of wine instead of 1 cup. Both were much too overpowering. So, after all of this, have I become a matzo ball soup fan? They were light, and fluffy as the best described out there but in all honesty, no, not a fan. Gimme Mom's chicken and dumplings (made from Bisquick, of course!) any day. Whisk together eggs and rendered chicken fat. Add seltzer and 1 teaspoon kosher salt and pepper. Combine well. Add matzo mix and stir well to combine. Cover and let chill at least 2 hours (chilling overnight is best). Bring a pot of water to a boil adding the rest of the salt once it's bubbling (waiting until the water is rolling before adding salt will save your pots from getting that hard white salt ring on them). While waiting for water to boil, dampen your hands and form a ball from about two tablespoons of the chilled matzo mixture. Place them on the pan and continue until all mixture has been formed into balls. Carefully drop the balls into the pot of boiling water and cook on medium heat for 30 minutes or until the dumplings are no longer dark in the center when you slice it open. (Dark center means it's still raw. It should be a light color from edge to center when cooked properly.) Balls should float to top when done. While balls are cooking, put stock into a second soup pot and warm for 10 minutes. Add carrots and continue to softly simmer stock until carrots are done to your liking. Adjust seasoning to taste. To serve, place chicken stock with carrots into a shallow bowl. Add one to three balls according to appetite and garnish with fresh dill. Find the recipe for the chicken soup here. Oh I am so glad to have found your blog !! I've been looking up food blogs and came across yours . this soup looks so good too. also really great to have a catholic lantina blogging !! Welcome Rox! And thank you.